Despite the time I've been a member I've never submitted a wallpaper so...I'm very Sorry! With the New Year coming I'm making It a goal to work as hard Has I can to submit more stuff! I've still a long way to..and I'd appreciate it if anyone could point out any mistakes or thing I could do better..
Oh, your first one? And your first vector either? Is it your first wallpaper? Then Congratulation for the job is very good. Fantastic ! :). Is very clean and the vector is very good. Amazing for a first job, especially vectoring and coloring. Ahaha, that's so adoreable! I love that image, and an amazing job vectoring it! Fave from me, and my new desktop! Congratulations! It doesn't even look like one's first piece of work! I really like it! Keep up with the good work and thanks for sharing! It's very well-made to be the first one! wow this is your first wall? nice job for first timer! ;) yeahh! nice. Syaoran so cute with Mokona! I love the image that u choose! Syaoran looks so cute! ^^ And nice job on the coloring! 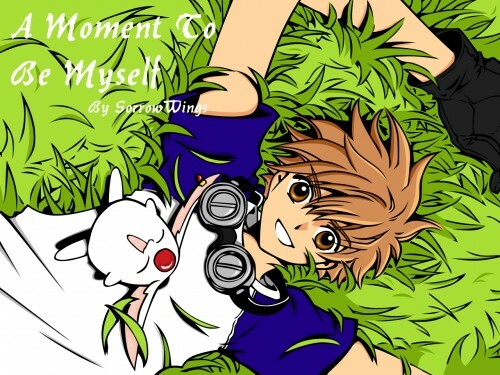 awww syaoran it's so adorable x3......meh...and mokona too XD..
really great wallie here! I luv it. Syaoran looks so cute with Mokona chan !